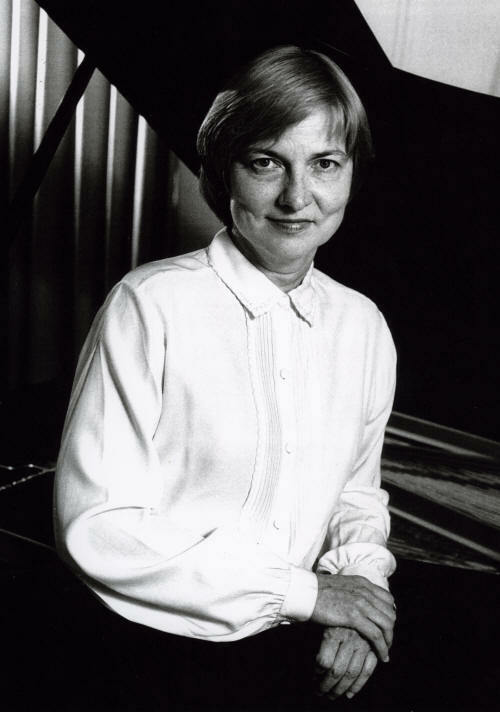 Oct. 24, 2006 -- Pianist Anne Koscielny will perform Thursday, Nov. 2, on the campus of Arkansas State University in Jonesboro. Her performance begins at 7:30 p.m. in Riceland Hall of the Fowler Center. Sponsored by the Lecture-Concert Series and the ASU Piano Club, the concert is free and open to the public. Koscielny has performed throughout the U.S., Mexico, South America, Europe and Asia in solo recital, chamber ensemble and with orchestra. Her recognitions include first prize in the Kosciuszko Chopin Competition in New York City, first prize in the National Guild of Piano Teachers Recording Competition, and a Fulbright award for study in Vienna. Although she lives with her husband in western Massachusetts, she is well-known in the greater Washington, D.C. area because of her performances at the Washington Performing Arts Society at Kennedy Center, the National Gallery of Art and the Phillips Collection. She also has served on the Fulbright Screening Committee. She has taught at Hartt School of Music, the University of Maryland and Eastman School of Music. The next Lecture-Concert event will be author Henry Louis Gates speaking on "W. E. B. DuBois and the Encyclopedia Africana," on Friday, Nov. 10, at 7 p.m. in Riceland Hall of the Fowler Center. For more details, please contact Dr. Gil Fowler, associate dean for The Honors College, at 870-972-2308 or via e-mail at gfowler@astate.edu or visit http://honors.astate.edu.